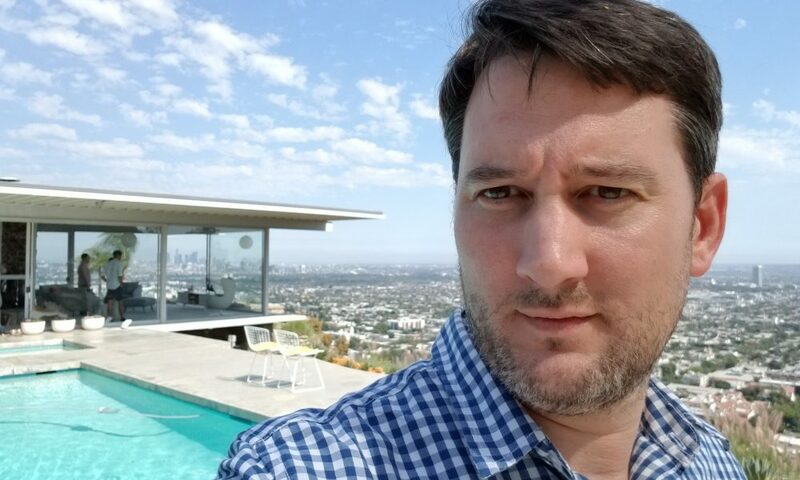 IMAGE CREDIT: © BAM STUDIO – Brian at the Stahl House during a BAM Outing. Each quarter, the office gets together for a company bonding activity outside the office. Other BAM Outings include bumper cars, city tours, scavenger hunts, and visiting art installations. Today we’d like to introduce you to Brian Spence. Growing up in a suburb near the unique architecture of Washington DC, I was always building – block towers, Lego spaceships, and tree forts. My childhood drawings were plans of houses and castles on graph paper. In high school, I signed up for a drafting class and was drawn to the combination of creativity and precision. The next year, my family moved to Switzerland, where I completed my high school education at the International School of Geneva. Though no drafting class was offered at my new school, the experience in that class always stuck with me. It was largely why, after high school, I returned to the US to pursue my architecture degree at Virginia Tech. After studying my passion, I graduated in 1998 with a B.Arch. and moved to NYC to start my career. I landed at the New York office of a firm based in Atlanta, and found a strong, collaborative team with Ross Cole and Pam Cole. In 2000, the three of us decided to start a new architecture firm that worked differently than – and improved on – the status quo. Building our vision of a less-hierarchical organization, we knew we didn’t want to name the firm after ourselves, or use an acronym of our initials. After many suggestions and iterations – BAM! – the name hit us. Much like our creative process, the name of the firm alludes to what happens when a big idea hits you. In the founding of BAM, we split the roles into ‘get the work,’ ‘do the work,’ and ‘run the firm.’ These three distinct roles allowed each of us to focus on our strengths – Ross, the connector; Pam, the operator; and me, the designer. We worked hard, put in long hours, and delivered game-changing projects on time and within budget. Our dedicated staff and strong collaboration with our clients led to repeat clients and referrals, and the firm grew to over 20 designers. In 2012, I started talking with Ross and Pam about the idea of opening up an office in Los Angeles. My wife, whom I had met in New York, was originally from Diamond Bar. We had been talking about moving to Los Angeles and starting a family, and felt it was time to take the leap. In 2013, we packed up and headed west. We now have two children born in in California, and my eldest daughter joined me in the office earlier this year for Take Your Children To Work Day. While the prospect of opening up a new office in a new city was daunting, we put faith in Sinatra and figured if we can make in it in New York, we’ll make it anywhere. Plus, we had the support of the entire firm back east to help with marketing, drafting, and accounting. Over the last few years, our reputation has continued to grow and so has the size of our offices. We’ve kept our core focus on workplace, life sciences, healthcare, and entertainment. Since arriving in LA, we’ve completed over 20 projects with well-respected clients across the different sectors. Starting out in November 2000, it was less than a year before 9/11, an event that was painful throughout the country. The market downturn following the attack was a difficult period for a fledgling business, particularly because we had a project under construction at the time in the World Trade Center. We saw an opportunity in the healthcare sector that carried us through the downturn, which allowed us to design around a new way of thinking, such as a hybrid OR. We created a hybrid operating room before it became a healthcare standard, combining three distinct pieces of medical equipment in one place. By not having to move patients around the hospital for different procedures, treatment became more efficient and patient well-being improved. Working on a variety of technically demanding healthcare environments in turn led us to the life science market. We have developed a broad client list and have been able to post positive returns every year since our inception. 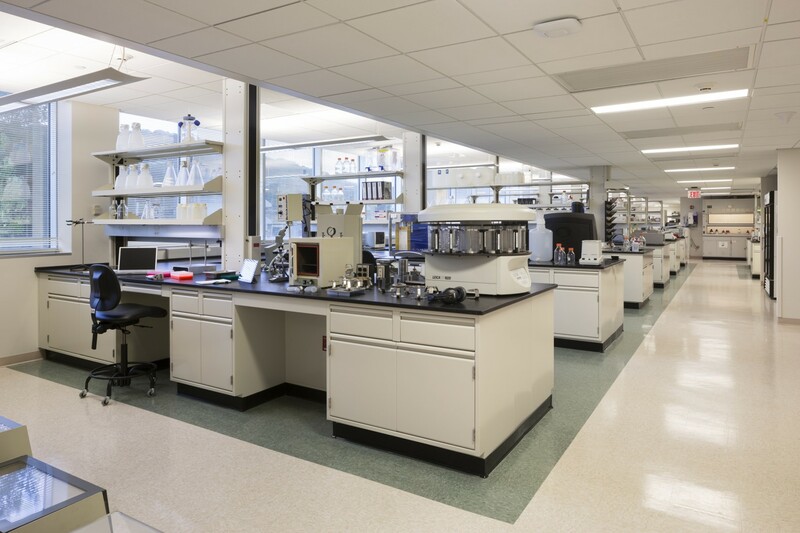 A recent landmark project for BAM is the HATCH Bioscience Incubator. Our clients, Agora Partners and ASG Real Estate, approached BAM with the specific goal of a multi-tenant life science facility located in Los Angeles. Thinking creatively about the requirements for flexible labs and the available real estate in the LA area, an old-line industrial warehouse just north of DTLA fit the bill. A non-traditional space to host labs, it was a wonderful opportunity to support the burgeoning bioscience community in Los Angeles and bring new life into empty real estate. 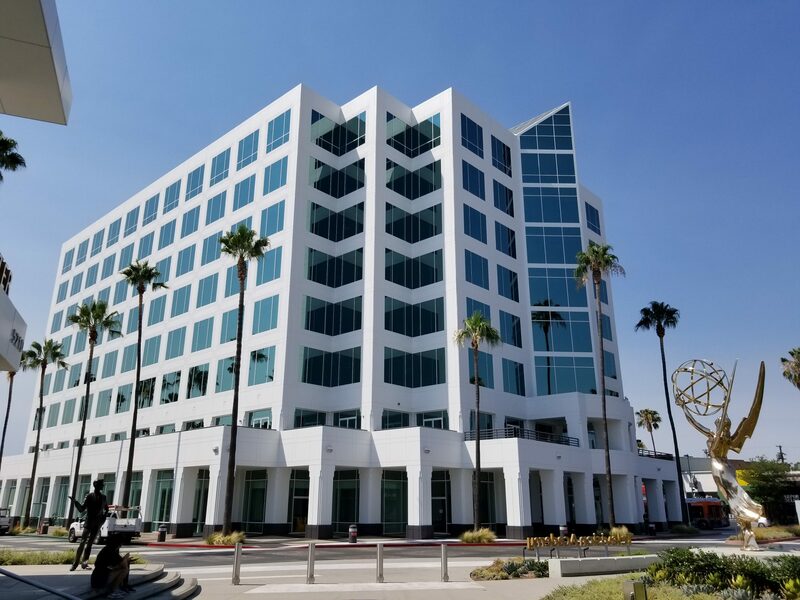 Currently in construction, HATCH has been highlighted in the news and throughout A/E/C and biotech circles for its community-focused goal of providing the resources for biotech companies to hatch and grow in Los Angeles. Please tell us about BAM Architecture Studio. Our vision is to design a world, grounded in a mindful approach to business, which inspires and enables people to do the extraordinary. We focus on client environments in the workplace, life sciences, research+development, media+entertainment, and healthcare industries. – More happiness – we give our team the tools they need to do their work, give them exciting projects to design, and the freedom to explore their own interesting ideas. With the above in mind, it has been our pleasure to design unique, inspiring facilities in collaboration with our national clients, which include NBC Universal, Lake Nona Medical City, CBS Corporation, Regeneron Pharmaceuticals, New York University, Yale New Haven Health, and Hitachi, to name a few. On the west coast, we are proud to design for such innovative clients as Agora Partners, ASG Real Estate, Swinerton Builders, Swift Real Estate Partners, ReachLocal, NBC Universal, Caltech, Providence Health, Morlin Asset Management, and Los Angeles Union Station. Part of what sets BAM apart as a company is our interest in remaining aware of the new trends in our industry. We are actively involved in professional organizations and speaking engagements with the community to share our knowledge and gain insights from other respected colleagues. Do what it takes to get it done. Do what you say you will and deliver on time. Be entrepreneurial, ‘scrappy,’ and be driven to succeed. At BAM, we also see ourselves as an extension of our client’s team. We enjoy a strong collaboration with our clients to truly understand and address their needs, resulting in successful designs that reflect the culture of our clients. 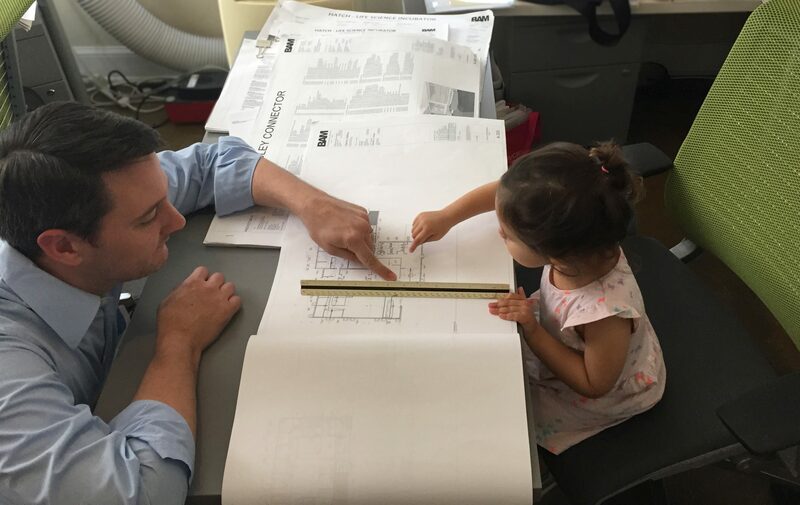 IMAGE CREDIT: © BAM STUDIO – For Take Our Daughters and Sons to Work Day, Brian’s daughter assisted the BAM LA office by reviewing drawings with her father. Participation in Take Our Daughters and Sons to Work Day continues BAM’s dedication to provide a supportive, family-friendly office culture and improve our community. 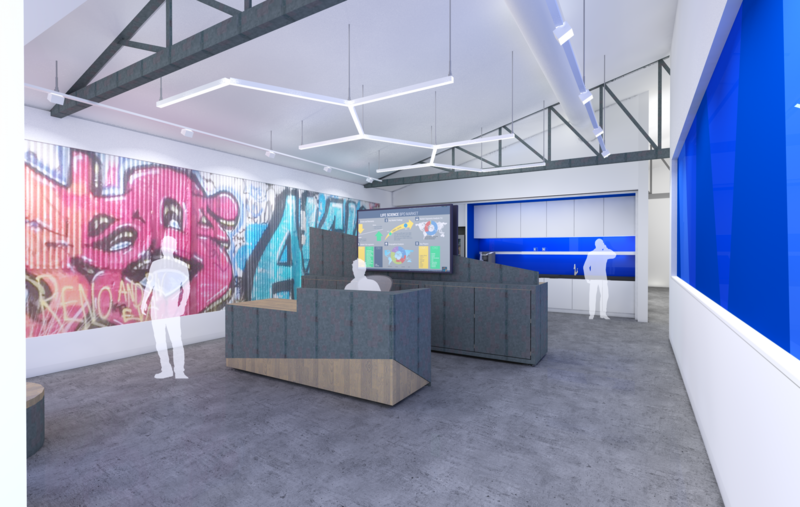 IMAGE CREDIT: © BAM STUDIO – Seeking to expand their presence into the heart of San Francisco, CNBC News looked to BAM to provide input on site selection for potential locations and eventually moving into iconic One Market Street. 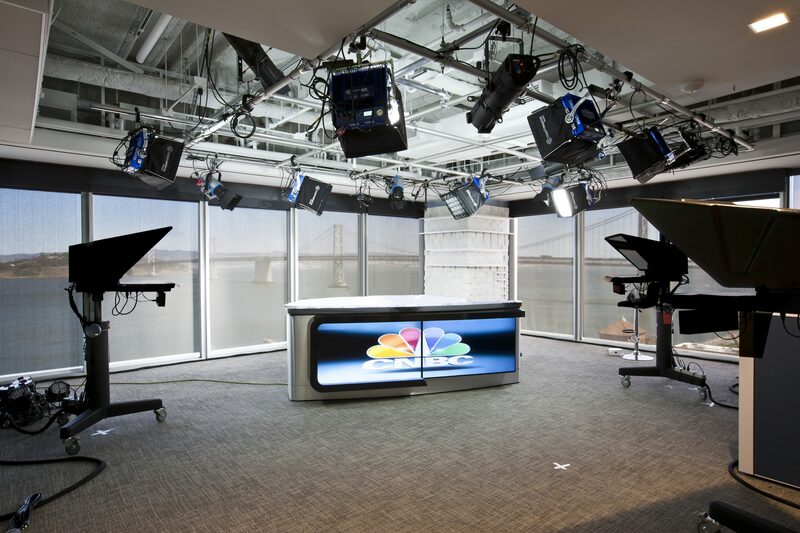 Our team worked closely with CNBC News to determine their needs, and designed a space with the technology and infrastructure required to support a modern news organization, including the featured television studio above. 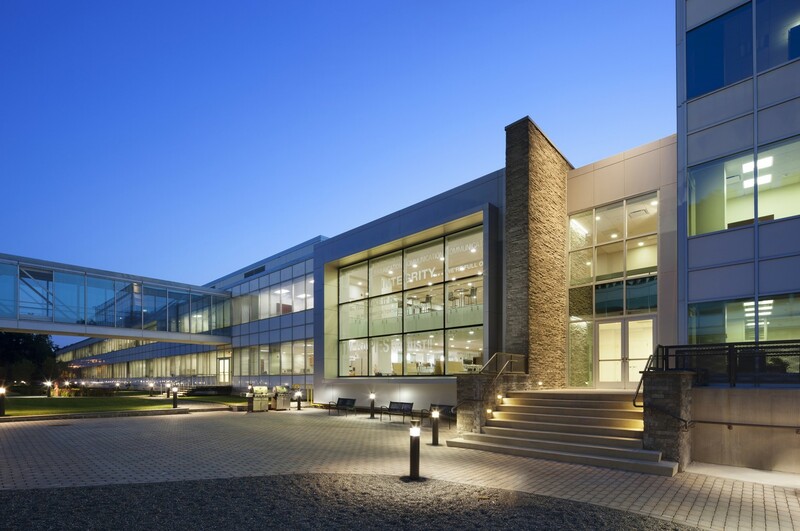 IMAGE CREDIT: © BAM STUDIO – Agora Partners and ASG Real Estate engaged BAM to lead the adaptive reuse of an old line industrial property into the state-of-the-art HATCH Bioscience Facility. Currently in progress, HATCH has been highlighted by the Los Angeles Mayor’s Office, in the news, and throughout A/E/C and biotech circles for its community-focused goal of providing the resources for biotech startups to hatch and grow in Los Angeles. IMAGE CREDIT: © BAM STUDIO – Swift Real Estate Partners recently purchased the Academy Tower, an iconic office building located in Los Angeles. Originally built in the 1990s, BAM provided an overall office refresh to reflect recent innovations in workplace design to increase workflow efficiency and employee satisfaction, repositioning the building to attract and retain the best tenants. A key element of the project involved exterior upgrades to improve the skyline. 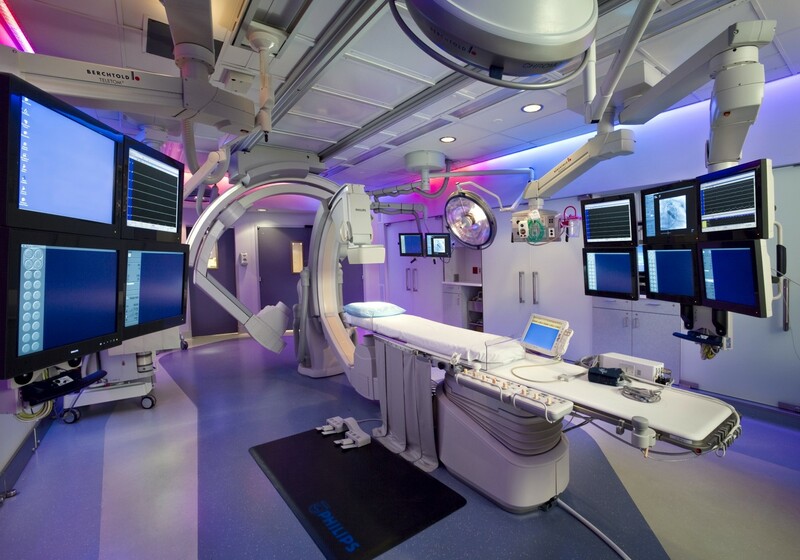 IMAGE CREDIT: © JIM FIORA – This sustainably designed Hybrid Operating Room was one of the first in North America and the very first at Yale, combining medical imaging, catheter-based intervention and surgery in one space, allowing for immediate treatment for a variety of issues. Patients may choose the room color through color-changing LED lights, and this sense of agency has led to reduced levels of anesthesia for patients. IMAGE CREDIT: © ALBERT VECERKA / ESTO – BAM devised a plan to join 2 of the existing buildings with a “connector building”, envisioned to act as a “town square” where staff could meet for meals, use the conference center, and hold impromptu meetings. The program and approach turned a severely lacking campus from the early 1960s into a vibrant, modern campus to support the client’s accelerated growth and strengthened culture. IMAGE CREDIT: © ALBERT VECERKA / ESTO – Having outgrown their current R&D and vivarium, our client sought a design that highlighted the interactive company culture and lush surrounding forest. Our design focused on strategic placement of the laboratories and vivarium to provide woodland views. Leveraging the natural site characteristics through windows and other details led to increased researcher satisfaction, greater efficiencies, reduced contamination issues, and improved overall company performance.